I was invited to slide in along side my friend Darlin Gray at the judges table for the Pacific Northwest BBQ Association's: Big Smoke Smackdown at the Columbia City Heritage Festival. Seattle's Brisket King, Gentleman Jack Timmons was hosting this throw-down at the Royal Room down on Rainier Avenue. I met Jack, thanks to Jameson Fink at the original Wine and Brisket evening, where I brought a few Oregon gems to pair with his slow smoked brisket. 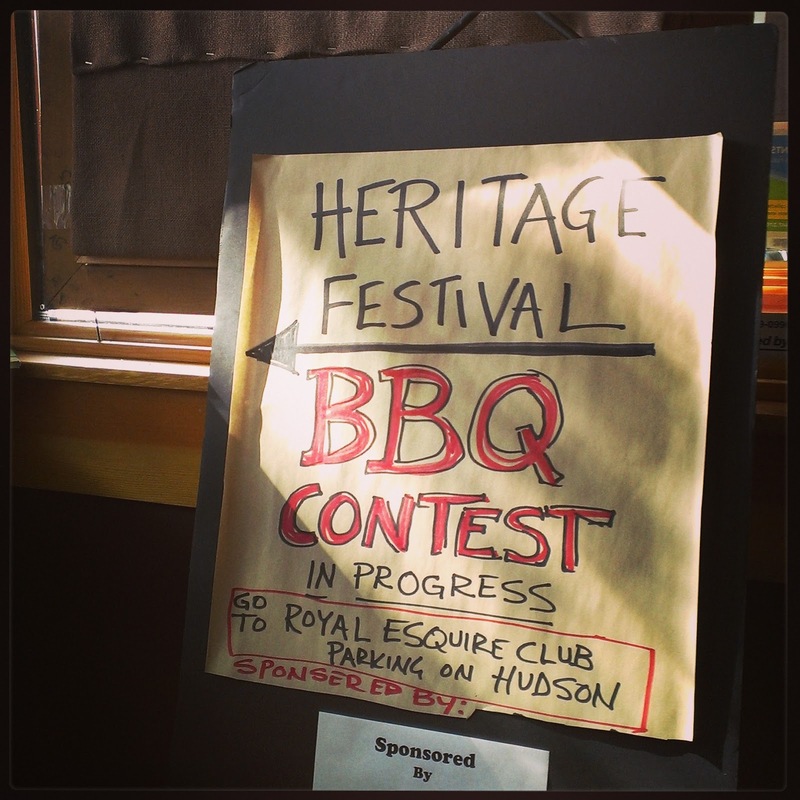 Once I got the invite, I thought it was a perfect opportunity to give Washington wine it's crack at BBQ pairing. 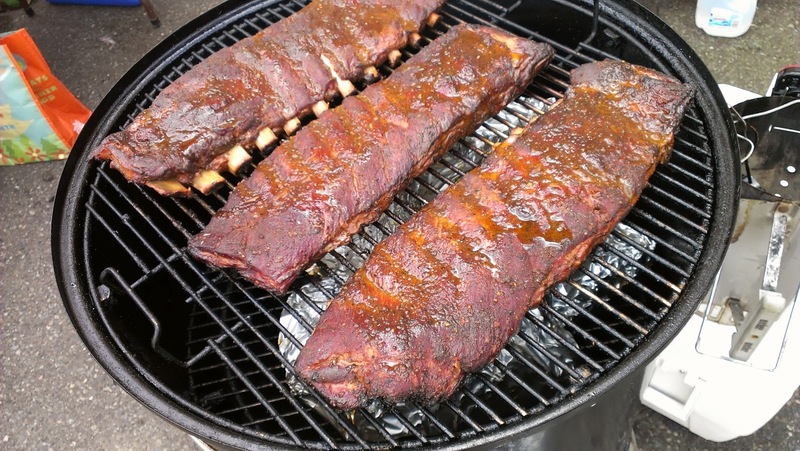 Now when you think smoked BBQ, you think Texas, Kansas City and North Carolina. You may also think other places, you don't think of Seattle. But, I can tell you as I witnessed, there's real talent here. However, when one thinks of BBQ, wine typically doesn't come to mind. 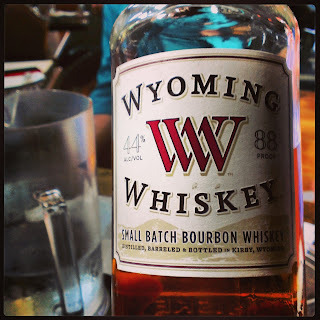 You think beer, you think whiskey, like the awesome artisan small batch stuff made by Wyoming Whiskey, but you don't think wine. I set out to change that by packing in Dusted Valley's BFM. The idea behind the BFM is to make a Merlot based Bordeaux style blend with an emphasis on what can certainly be one of Washington's signatures grapes and wines, Merlot. 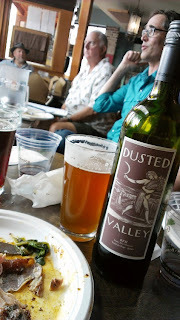 In fact, the boys at Dusted Valley refer to it as the biggest Merlot blend in Washington at 70%. I wonder what the F stands for? The wine sees mostly neutral oak barrels and with a cooler vintage there's a great emphasis on the fruit, and a fair amount of acidity to carry the fruit into the finish, and it might just make a nice BBQ companion. Big Fancy Merlot? I don't know, this is a BBQ afterall, where licking your fingers is the expectation. Gentleman Jack read us the rules, and we got underway. Appearance, texture, taste, these were the criteria we were to look for. How good did it look? How did it fall off the bone, or pull apart, and the criteria for those things differed from say chicken to ribs. And finally how good was it? Sound like hard work? I mean, it was complicated, but it was mostly a helluva a good time. For me, there was a fourth criteria, how's it go with this Washington wine? Big Fun Merlot? Round 1 was chicken, Round 2 was ribs, followed by Round 3 of "West Coast" or the creative category, followed by "Anything Goes" and finally the granddaddy of barbeque, pork shoulder. For the BFM ($53, sample provided by the winery), which again is lots of Merlot, I found the best pairings to be the ribs. The wine is an aromatic treat, with lots of blue and black fruits, I often get gobs of ripe blueberry in Washington Merlot and you'll definitely find that in the BFM. A bit of fennel aromatics shine through here and there, but mostly the emphasis is on the fruit, with just a hint of dust. The fruit from Stone Tree vineyard is consistently ripe and delivers a reliable depth of flavor of blueberries, black cherry and a black licorice. Blue Fruit-focused Merlot? 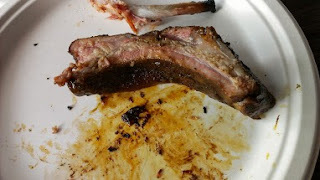 The hints of char from many of the ribs, particularly the first and last entries of that category highlighted the wine's dusty dark fruit. The ample mouthfeel and fine tannins also mixed well with a lot of the kick and a tang that many of the ribs brought along to the competition. The BFM held it's own along side beer from Manny's and the Wyoming Whiskey as a legit barbecue beverage contender. 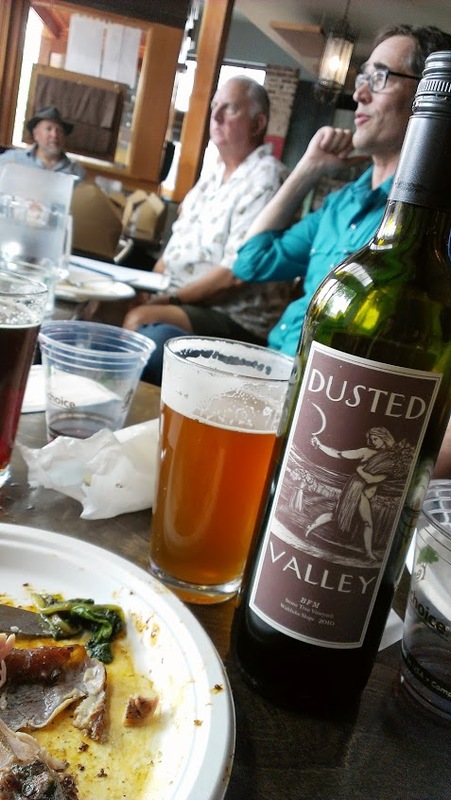 If you know anything about the guys at Dusted Valley, you'd suspect they'd be beaming with pride to see their wine along side beer and whiskey at a barbecue smack-down. Their Stained Tooth Society would surely welcome with open arms the Stained Fingers Society of the barbecue cognoscenti. Big Food Merlot? Whatever it stands for the BFM made a serious case for wine to be taken seriously in a not so serious setting, seriously. Remember, it's about drinking what you like and enjoying good company whether eating or drinking and wine can be a versatile beverage.